We help mission – based organizations do more good and make a greater impact. The two founders formed McQueen Mackin & Associates to take their roots in the for – profit world where they led the brand insights, research and database marketing at the “top five” agency Leo Burnett, and apply their expertise towards the greater social good. We know many mission – based organizations struggle with the budgets and resources to pursue all their ambitions. This is why we have a small tight – knit team with an established network of experts that we hand – pick to work with to accomplish each of our unique objectives. This keeps our overhead low, budgets tight, provides flexibility and allows us to be hands – on with each of our clients. Kelly is a forward – thinking, strategic creative force with an entrepreneurial spirit and 10 years of experience in telling influential brand stories. Whether it’s through top – notch creative design, using data to uncover insights to create a compelling brand narrative, words or imagery, her passion is telling authentic brand stories that create strong emotional bonds between organizations and their customers. She wants to help nonprofits thrive in today’s digital landscape and reach more giving hearts with their unique story, enabling them to raise more money so they can do more good in the world. Prior to McQueen Mackin, she worked in digital marketing, research and planning for for-profit marketing agencies. She spearheaded key brand building initiatives and led the strategy to fuel growth for several clients, brands and businesses across various categories and channels. Josh is a data enthusiast, philanthropist, thought leader and a passionate champion of creativity as a driver of growth. He served as the EVP and Director of Research and Planning Worldwide for Leo Burnett — the 4th largest creative advertising network — leading planning, research, technology and database marketing activities. 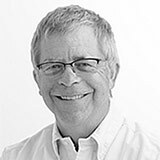 Eager to use his expertise to help mission-based organizations do more good, he founded McQueen Mackin & Associates to help a wide range of cause-related organizations innovate and make greater impact. Josh has consulted and completed major studies for a number of organizations, like The National Park Foundation, St. Jude’s Children Hospital, Salvation Army, and the Institute for Veterans and Military Families. Josh served on the board of Allendale Residential Homes for Disadvantaged Children, and was Board Chairman of Middle East Media. In addition to over 20 peer-reviewed articles, Josh is the author of the book: Building Brand Trust: Discovering the Insights Behind Great Brands. 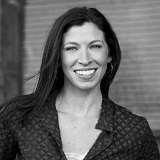 Mary rose to SVP, Director of Research Services at the 4th largest creative advertising network. 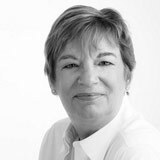 She was the chief researcher/planner for a number of blue chip clients at Leo Burnett before co-founding McQueen Mackin & Associates. She has led various R&D initiatives to create innovative proprietary research tools including: how to measure emotion, the quantification of core human values, and how to identify the “passion points” that drive donations for nonprofits. Mary is always looking to gain a deeper understanding, to uncover the “why,” and delights in using data to tell the story. Above all, to drive growth for her clients she uncovers pivotal insights to create a roadmap for action and execution. She has found great joy over the last 10 years using her expertise to help nonprofits do more good in the world. 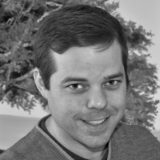 Jon is a storyteller, trusted advisor and data analyst who specializes in understanding the social interactions of others. 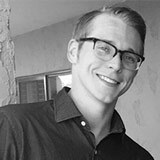 With a degree in Sociology and an analytic mind, he helps his clients advance their goals with his unique approach. He has helped many companies grow and enhance their brand to find success in the digital age. He has developed customized solutions and marketing strategies across multiple industries — from real estate and healthcare technology to nonprofit organizations. He believes that if more nonprofits could use a data-driven approach while also igniting passion in their donors through storytelling, they would create a strong bond to drive donations. 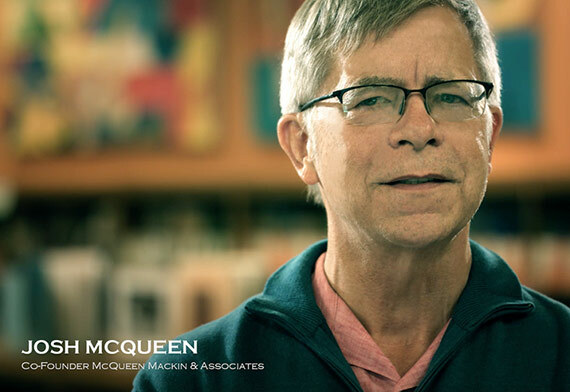 He joined McQueen Mackin so he could help nonprofits do just that. At McQueen Mackin, Jon focuses on business development, data analysis and marketing. He has co-created unique tools that help smaller nonprofits optimize their messaging and fundraising capabilities. He prides himself on being a trusted advisor for his clients and developing innovative ideas to fuel growth. Carl joins McQueen Mackin from Wells Fargo where he was the Associate Vice President in the strategy, projects and planning group. In his ten years at Wells Fargo Carl honed his expertise in the booming field of data science and machine learning. As part of the Innovation Lab Carl created his own patent for banking products. Additionally he began to work with their more sophisticated data science stack. This stack included Teradata, Teradata Aster, H20, Python, Hadoop, R, SAS and a SAS UNIX Grid. He also worked frequently with Washington University in St Louis’ to represent Wells Fargo in helping to develop their Masters in Business Analytics program, training multiple classes. Carl received a bachelor’s of Information Systems degree from Calvin University. He wanted to bring his expertise into the nonprofit world to help bring technical creative solutions to solve problems for mission based organizations and use his background in database analysis as the need for data-based decision making continues to grow.